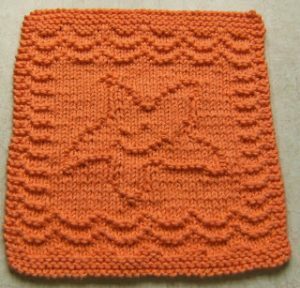 Free Baby Washcloth Knitting Patterns. While booties, hats and cardigans make a great knitted present for a new baby, it is easy to overlook making another most useful baby item, the knitted baby washcloth! Here we have put together a few free patterns that you will not only enjoy making but will all so be deeply appreciated by new mothers! Baby washcloths are great with picture motifs of flowers, ice cream treats, cute animals and anything else that is adorable. 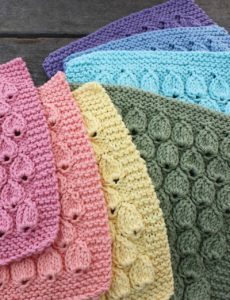 Alternatively textured washcloths in lace, ribbed stitches, cables and knit and purl stitch designs also make for fantastic baby washcloths. Most baby washcloths are made out of cotton! Lacy knit dishcloth is reminiscent of tulips in spring. 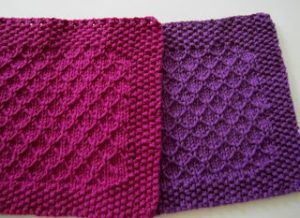 Lovely pattern to knit in pastels and give as gifts! 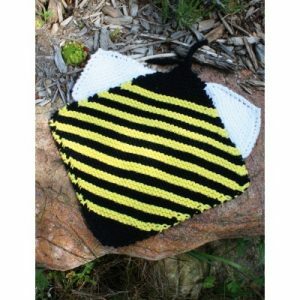 Bee washcloth free knitting pattern, so cute! 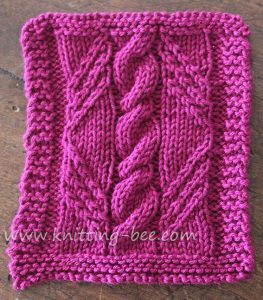 A pretty cabled texture dishcloth that would work nicely as a baby washcloth pattern from Knitting Bee. Amazing dishcloth and baby washcloth designer Down Cloverlaine has great free baby washcloth knitting patterns for you to try, here are some of your favorites! 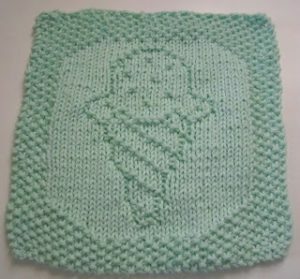 Knit in pastel colors this lovely icecream washcloth, comes with a bib pattern too! This is a deceptively easy pattern to knit. You slip stitches and then pick them up on the next row. The stitches form a very pretty trellis pattern. Any of the many free dishcloth knitting patterns can be used for a baby washcloths, so the possibilities are endless!